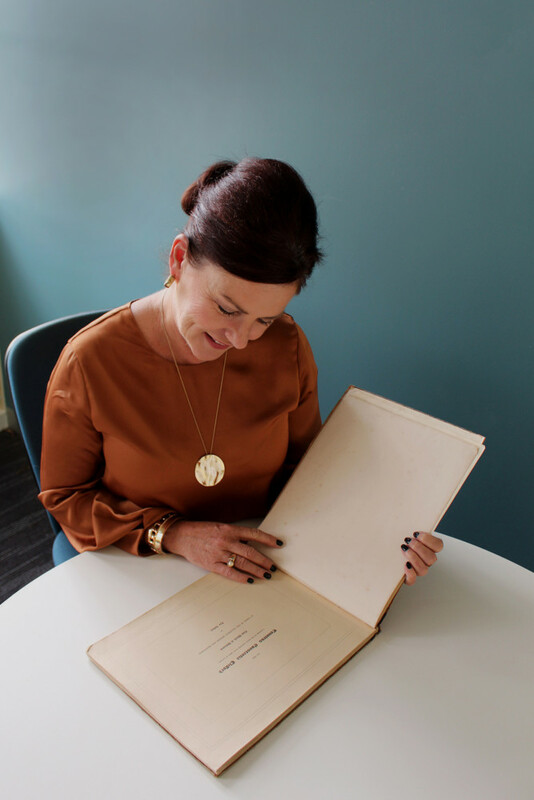 Deb Carter, Chief Executive Officer of Fraynework, a ministry of the Institute specialising in digital communication, has always had a deep love of reading and of books. Deb and her husband Gerry are both avid readers and have amassed quite an extensive library over the years, with a keen interest in first editions. Deb follows several antique book dealers online and was trawling these sites one rainy Saturday afternoon when she came across a title from a dealer in England that took her breath away. ‘I saw the name Clare Agnew…. and couldn’t believe it. I remembered hearing about Clare when on the Dublin pilgrimage back in 2015 and thought… could it be the same? As a history buff, Deb then went down the Google rabbit hole of searching for references to Countess Clifford, the political career of Andrew Agnew MP and then scoured ‘Leaves from the Annals of the Sisters of Mercy,’ for any further information she could find on Clare Agnew. It soon became apparent that Clare’s time as a Sister of Mercy was short-lived. After a brief period as Superior of the Bermondsey Congregation, the first Mercy foundation established outside of Ireland, she left the order to join the Trappistines. However, Deb was more determined than ever to purchase the book. Feeling like a quasi-custodian of the history of Mercy she corresponded back and forth with the dealer, agreed on a price and several weeks later the eagerly-awaited parcel arrived. ‘Running your fingers across the pages you can feel the slight raise of the letters of the moveable typesetting of the day. 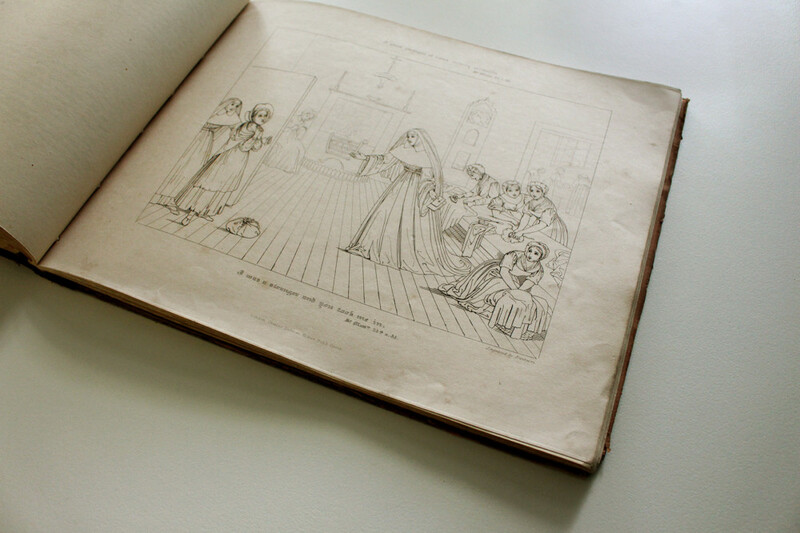 The text of the book is in four languages: English, German French and Italian, with bible quotations appearing only in French (above) and English (below) the illustrations, exactly as described in the Introduction of Peter Connell’s 2011 publication ‘Catherine McAuley Works of Mercy.’ Many of us have seen reproductions of these sketches in books and on websites but to see them in the flesh was a totally different experience. As designers and artists, the team at Fraynework could really appreciate the fine detail and talent exhibited in every drawing. ‘Clare Agnew felt a need to visually capture the works the sisters were actively engaged in during her time. She provided concrete examples of the sometimes ethereal concepts of Mercy and she also drew a clear connection to the gospel ideals with the inclusion of associated scriptures. And that’s exactly what we do, not only for Mercy ministries, but for so many different religious organisations. ‘For me personally, it was an opportunity to talk about how the work we create at Fraynework is very much a continuation of Clare’s work. 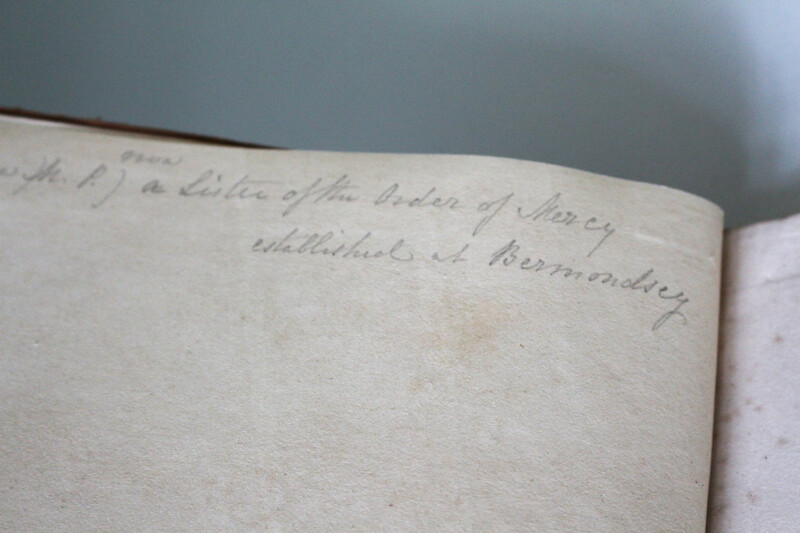 The Sisters of Mercy have always been associated with education and health and social services and in that context the ministry of Fraynework, being only 20 years old, is relatively new and in some ways seen as an adjunct to these traditional forms of service. ‘Often there is confusion about who we are, what we do and why we do it. I best describe the work of our ministry as taking the most important messages in life and finding the most effective ways to communicate them… and so discovering this book was a very real connection for us. ‘As a team we discussed how the sketches in the book predated photography and were Clare’s way of communicating the works of Mercy to the wider world. That was the medium available to her, in her time and place, and we continue this tradition in the work that we do in a digital format because of the age in which we live. Fraynework is blessed to have several talented artists as part of the team and one in particular is an incredibly gifted illustrator. The Fraynework team talked about how Kerrie would need to create a corporal version and a spiritual version of the eighth work of Mercy and as a group they discussed how she might visually represent these concepts. They noted the increased involvement of lay people in Mercy ministries today and how illustrating figures that were not wearing traditional habits would be a departure that could create a lovely continuity across the ages in which these illustrations have occurred. After painstakingly replicating the fine ink style of the sketches, Kerrie decided that to be really true to the originals she would engrave the drawings and print them onto parchment paper to exactly match the style of the book, therefore completing the set. Deb truly believes she was meant to find the book. 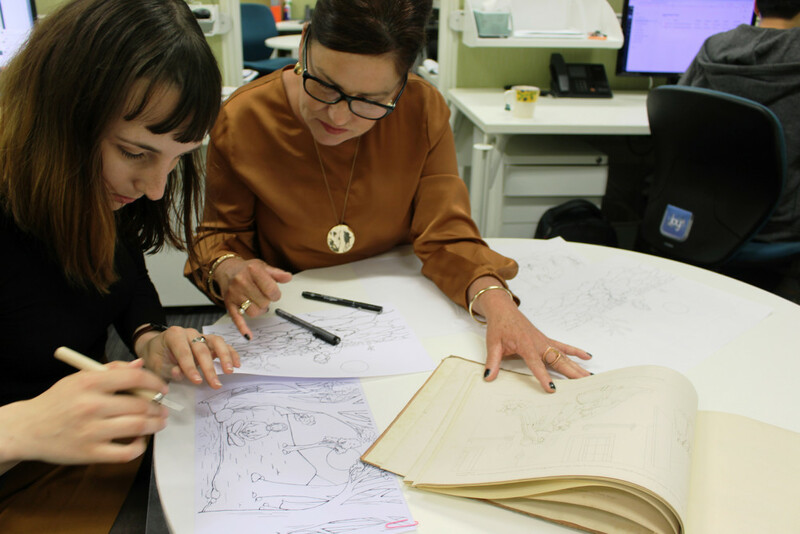 ‘Our heritage story is so important in providing additional meaning to our daily work. To know that what we do is a continuation of what was established over 180 years ago, and that we have a responsibility to ensure the work continues, is a very powerful motivator.